Gilles Peterson will link with Brownswood and Worldwide FM to launch new festival We Out Here this year. The DJ is a festival favourite, and has been involved with the multi award-winning Worldwide festival for over a decade. Linking with Brownswood and Worldwide FM, the three cultural forces will spearhead new festival We Out Here in August. 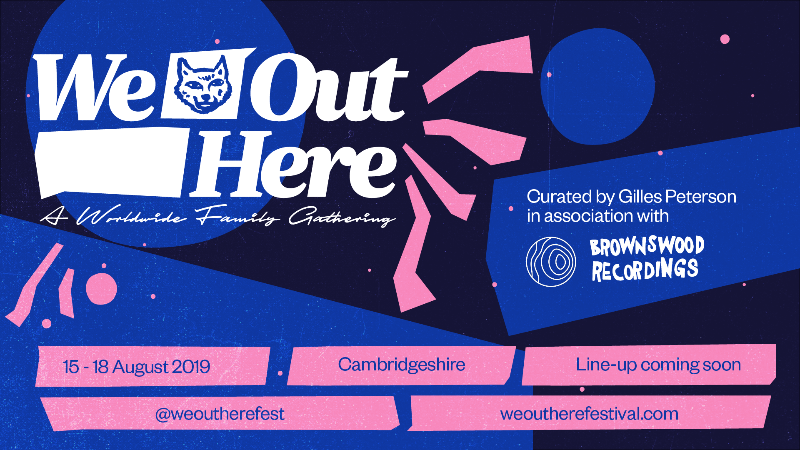 Taking place at a location in Cambridgeshire, the festival shares its name with Brownswood's incredible We Out Here compilation, which provided a platform for new creative currents in London's jazz scene. Expanding on this, the festival offers something new. More details to be unveiled as the weeks progress, but it's an exciting first step. Sign up for tickets pre-sale HERE. We Out Here festival runs between August 15th - 18th.